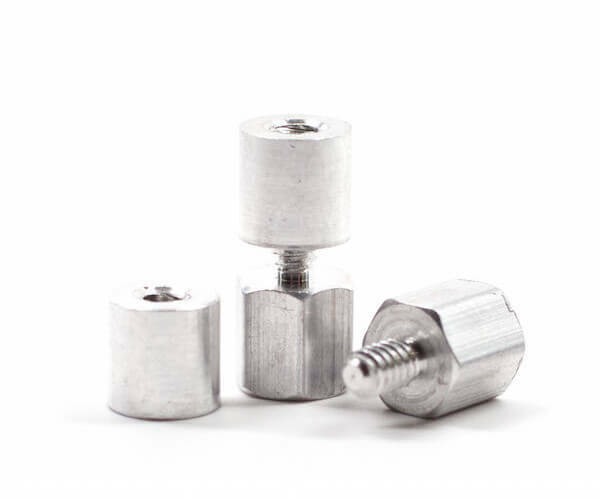 Spacer’s are fasteners that are primarily used in minimum clearance situations for electronic assemblies. Standoff’s are chosen over spacers when longer sizes are required in the application. Both parts are available in many different materials conducive to the application. Available materials include Nylon, Stainless, Aluminum and Brass. Internally and externally threaded standoffs are used when one of the components has a mating thread. Click on a section heading below to access additional product information. Some documents require Adobe Acrobat Reader– if you do have currently have Adobe Acrobat Reader, please visit Adobe.